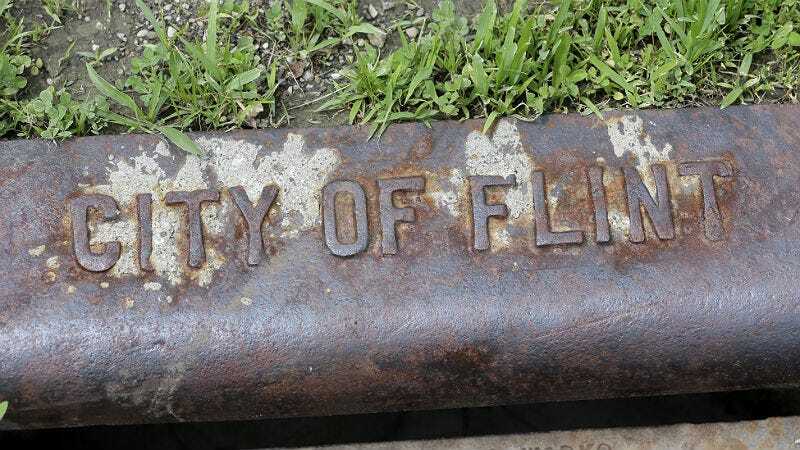 In a federal lawsuit filed on Wednesday, environmental activists are seeking an order that would force officials in Flint, Michigan to swap out all lead pipes in the city with safer replacements. The suit alleges that the current plumbing system violates the federal Safe Drinking Water Act, according to the Associated Press, due to “a failure to properly treat the water for corrosion, test it for lead, notify residents of results and accurately report if the correct sample sites are being selected.” Michigan’s state Treasurer Nick Khouri along with officials on the Flint’s Receivership Transition Advisory Board and city administrator Natasha Henderson were named in the suit. The water’s toxicity, thanks to swapping Flint’s water supply from Detroit’s embattled system to the nearby Flint River in 2014, has led to lead poisoning and possibly Legionnaires’ disease in a number of Flint residents. “The only way to permanently and completely fix the problem of lead in drinking water is to conduct the full replacement of the lead-containing pipes and solder in a water system,” said Sarah Tallman, a lawyer with the National Resources Defense Council. In the state’s capital, Governor Rick Snyder says replacing the city’s pipes would cost at least $55 million. For now, Flint residents have been reconnected to Detroit’s water supply until a new path to Lake Huron is created—but of course, if the new water is flowing through contaminated pipes, it’s highly debatable that anything’s really been fixed.